BDD is a type of chronic mental illness in which one can't stop thinking about a flaw in his or her appearance, a flaw that is either minor or imagined. 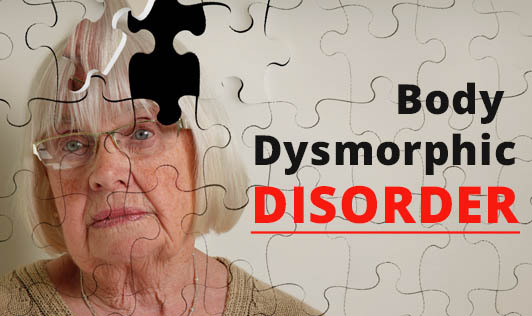 BDD is also known as Dysmorphophobia, the fear of having a deformity. An individual with this disorder tends to have cosmetic surgery and if even the surgery is successful, he or she does not think it was and is never satisfied with the outcome. The exact cause of BDD is unknown but one theory suggests that this disorder involves a problem with certain neurotramitters in the brain. Other factors such as genes as well as the environment including life experiences and culture may also contribute to this disorder especially if they involve negative experiences about one's body and self-image. If you have any signs or symptoms of BDD, contact a mental health professional! BDD doesn't get better on its own.